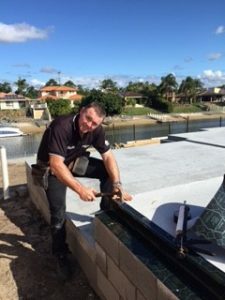 Builders looking for Termite Barriers Brisbane new construction with licensed and experienced installers, then you’ve landed in the right place. We install Physical Termite Barriers and Chemical Reticulation Systems for just about any property big or small, including residential new homes and commercial buildings. All our Brisbane Termite Barrier installers are licensed and accredited, holding 42a certificates (Install Termite Physical Barriers). “Attention Brisbane Builders”, If you have the property’s, we have the service and the products to ensure compliance as per Australian Standards AS3660.1-2014 & NCC. Termite Management systems AS3660.1-2014 – We install Termite Barriers to Residential & Commercial Property’s, Renovations, Extensions, Additions. The Pre Construction Termite industry is full of many systems, your safest approach is using Brisbane Termite Protection. Work closely with us and get it right every time. Residential and Commercial Property’s using Physical Barriers and or Chemical Reticulation Systems that comply with the relevant Australian standards AS3660.1-2014 new construction, this enables us to help you the builder gain certification for Termite Management. Pipe Penetrations, Perimeter Installations, Cold Joints, Engaged and Isolated piers built from brick, concrete or steel, Retaining walls built under the ground, Under slab physical barrier systems, Pole Homes, Decking Pole Plate installations, Wall sheeting, Pipe Re locations, Ant Capping for sub-floors with bearers and Joist construction, Construction Cold Joints even if the Slab has been poured in some situations, advise on using the slab edge as a 75mm visual barrier. The Building industry demands great service and fast service, so to assist we have the licensed staff to get the job done in a timely manner, where communication between the Termite management technician and the builder is critical. This is what we provide to Builders looking for Termite Barriers in Brisbane for New Construction, Systems that comply, efficient service, technical expertise, certificate of installation, Form 16 supplied in QLD, Durable Labels in the Meter box. Did you know, we also follow up on the system installed each year by contacting the owner to ensure they fully understand the home owner obligations to have annual Termite inspections carried out, as this is a recommendation by Australian standards and product manufactures. We cannot mention this enough – “Be Sure to Call Before You pour” or erect any bricks or frame work. Are You Renovating A Kitchen Or Bathroom? 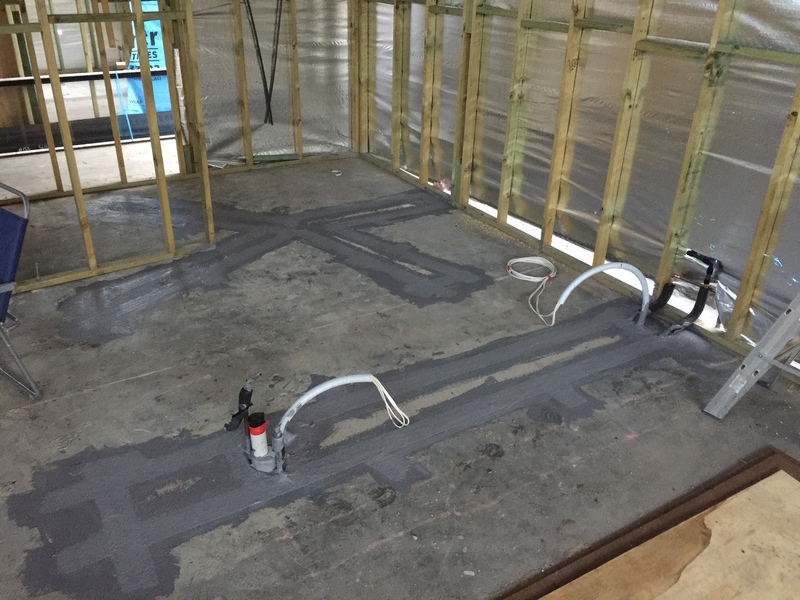 Are you cutting an existing slab to install new pipe work for your new kitchen or bathroom? You’ll need to comply with AS3660.1-2014 termite management (new construction). When you cut out the old slab areas then you’ve broken the slab and termites can gain entry. 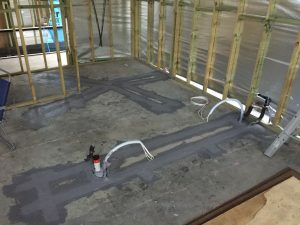 If you keep building and do not protect the joints around the new pipes and construction joints between slab to slab then termites will gain entry. Nothing worse than having a brand new kitchen or bathroom installed with new flooring, to then realise you’ve got termites and the chances are they are coming up the joints in the floor. Termites do massive amounts of damage. 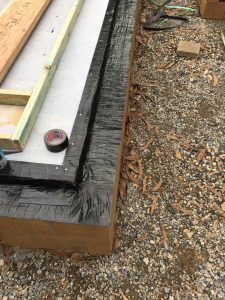 Termseal Termite barrier makes 20 years, Brisbane Termite Protection have been using Termseal for 16 years with no failures.